Inefficient 10 Points Secret Medal: Unlock this medal to view its details! 5 Points Reach level 2. 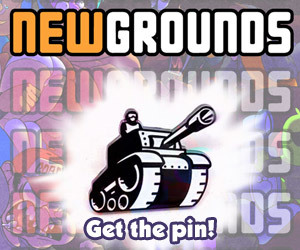 5 Points Follow me at NEWGROUNDS! 5 Points Check out NEWGROUNDS.com! 5 Points Follow me on Twitter, so I don't have to shut up! 5 Points What a pile of buffalo diarrhea! 5 Points Check out Sexual-Lobster's page. 5 Points Check out RicePirate's page. 5 Points Check out JohnnyUtah's page. 5 Points Don't skip the meeting with Johnny and Dracula. 10 Points Get a little head. 10 Points Eat a pork chop! 25 Points Make the haunted hallway more creepy. 5 Points Beat the first level! Battle Fish Master 100 Points Beat the Game!